As an undergraduate researcher in the Hatfull lab, I work with bacteriophages that infect the host Microbacterium foliorum. Isolating, amplifying, and characterizing phage particles followed by close analysis of their genomic data provides us with more insight into phage diversity as a whole. Additionally, I work to isolate and characterize mycobacteriophages that can escape the defense systems of Cluster N lysogens thus providing the foundation for further investigation into the mechanisms behind escape and superinfection. 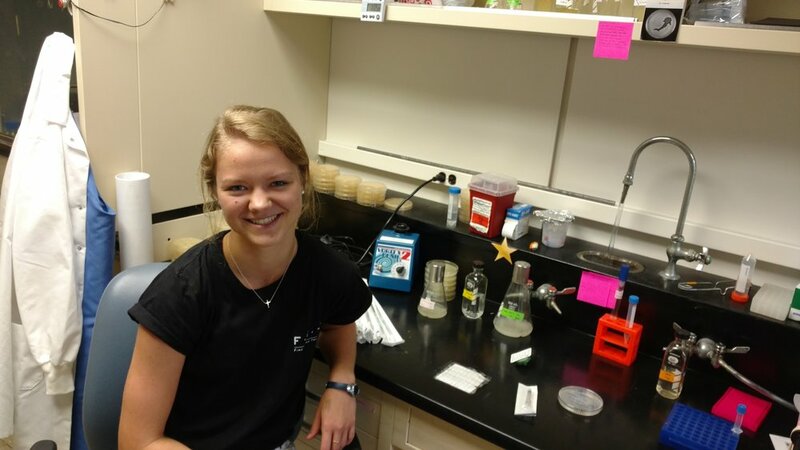 Audrey is a member of the class of 2019 pursuing a degree in Microbiology with a minor in Chemistry. In the future she plans to work in the field of infectious disease research.